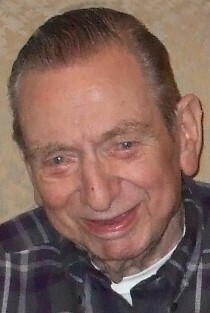 Joseph R. Kiernan, 92, of Dartmouth, formerly of Lowell, died Wednesday, March 25th at Emeritus at Dartmouth Hills. He was the beloved husband of the late Anne M. “Nancy” (Hulse) Kiernan who died March 17, 2014. Born in Lowell, Massachusetts, January 4, 1923, a son of the late William R and the late Anna G. (Doyle) Kiernan, he attended St. Patrick’s Boys School and was a graduate of Lowell High chool. Eager to further his education, he went on to graduate with a Bachelor of Science degree in Chemical Engineering from Northeastern University in Boston. A veteran of World War II, Joseph proudly served his country in the U.S. Navy and was awarded the WW II Victory Medal and the American Theater Medal. Before retiring, Joseph served as President and CEO at the Ohio Rubber Company in Willoughby, Ohio where he literally climbed the corporate ladder in the course of 20 years. Previously, he was a Chemist and Chemical Engineer with Acushnet Rubber Company in New Bedford, MA. He was a past president of the Rubber Manufacturers of America. Among his many activities, Joseph enjoyed golfing and was a handyman always doing small household projects. His favorite pastime was belting out songs from the 20’s and 30’s at a piano bar. He was a member of the Knights of Columbus in New Bedford as well as the Wamsutta Club of New Bedford and the Country Club of New Bedford . But above all else, being all about family, he loved spending quality time with his grandchildren. Joseph is survived by three sons, William R. Kiernan of Newburyport, Joseph R. Kiernan, M.D. and his wife Llynne of Randolph, VT, and John C. Kiernan and his wife Brenda Nishimura, D.D.S. of Lexington; five grandchildren; Joseph, Matthew, Jacqueline, Erin, and James; two sisters Sr. Mary of the Incarnation (Anna Kiernan) of New Mexico and Alice G. Kiernan of Lowell; and a sister-in-law Margaret Hulse of Somerville, MA. He was also brother of the late John Kiernan, the late William R. Kiernan, the late Cornelius Kiernan and the late Mary Howland. Friends may call at the O’DONNELL FUNERAL HOME 276 PAWTUCKET ST. at Fletcher from 2 to 6 P.M. on Friday. Relatives and friends are invited to attend his Committal Service on Saturday morning at St. Patrick Cemetery Chapel at 10 o’clock. Please meet at the chapel. E-condolences/directions at www.odonnellfuneralhome.com. Those wishing may make contributions in his memory to the Society of Our Lady of the Most Holy Trinity, 1200 Lantana St, Corpus Christi, TX 78407. Arrangements by Funeral Directors James F. O’Donnell, Jr. and John W. Crane (978 or 866) 458-8768. Martha L. (Sawyer) Sintros, 90, a member of a well-known Greater Lowell family, died Thursday evening, March 19, at Lowell General Hospital. She was a loving caring wife to her husband, the late Constantine J. 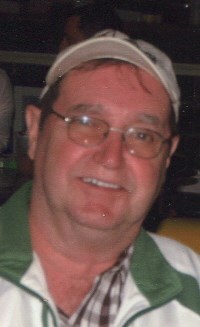 “Chuck” Sintros who died January 28, 2011. Born in Conyers, Georgia, May 9, 1924, the daughter of the late Jack Lee Sawyer and the late Grace (Rice) Sawyer, she was raised and educated in her home state of Georgia. Active with her church, Martha was the longtime secretary of the Transfiguration Greek Orthodox Church. In addition, she was a former President, Treasurer, and life member of the Ladies Philoptochos Society at the church. 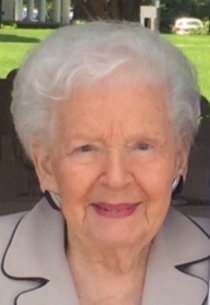 A loving mother and grandmother, she most enjoyed time spent with her children and grandchildren. A humble woman of grace and elegance, Martha will be deeply missed by those who knew and loved her. She is survived by her two sons, James L. Sintros and his wife Barbara of Chelmsford and Thomas M. Sintros and his wife Amy of Alstead, NH; four grandchildren, Michael Sintros of Alstead, NH, Nicholas Sintros and his wife Samantha of Alstead, NH, Sarah Sintros of Merrimack, NH, and Nathaniel Sintros of Chelmsford; two sisters-in-law Marjorie Sawyer of Atlanta, GA and Effie Mandelos of Manchester, NH; and many nieces and nephews. Relatives and friends are invited to attend her Funeral Service to be held Monday morning at 11 o'clock at the TRANSFIGURATION GREEEK ORTHODOX CHURCH in Lowell. (Please meet at the church). Committal Services will be private. E-condolences/directions at odonnellfuneralhome.com. In lieu of flowers, those wishing to may make contributions in her memory to the Transfiguration Greek Orthodox Church, Fr. John Sarantos Way, Lowell, MA 01854. Arrangements by the O’DONNELL FUNERAL HOME – LOWELL (978 or 866) 458-8768. Elizabeth E. “Betty” (Holmes) Fletcher, 86, of Dracut, died Tuesday, March 3rd at her home with her loving family by her side. She was the beloved wife of the late Allen G. Fletcher who died May 9, 1997. Born in Newcastle, New Brunswick, Canada, August 18, 1928, a daughter of the late Akley and the late Grace Isabelle (Murray) Holmes, she attended Doaktown, New Brunswick schools and was a graduate of Doaktown High School. She then went on to graduate from Ottawa Civic Hospital School of Nursing in Ottawa, Ontario earning a degree as a Registered Nurse. Before retiring, Betty was employed as a Registered Nurse at the former St. John’s Hospital (now known as Lowell General Hospital – Saints Campus) for over 40 years. Among her many activities, Betty enjoyed baking, gardening, traveling, music and birds. She was also an avid Boston Celtics fan and even had the experience of seeing her own likeness on the Garden Jumbotron while attending some games. But above all else, being all about family, she loved the quality time spent with her children, grandchildren and great-grandson. Betty is survived by two daughters Bethanne Winterson of Pepperell, MA and Nancy A. Bronson of Fitchburg, MA; a son Kenneth A. Fletcher of Litchfield, NH; seven grandchildren Ross, Lance, Linwood, Acacia, Wesley, Samantha and Carolyn; and a great-grandson Mason. She was also sister of the late Jim Holmes and the late Grace Libby. In keeping in accordance with her wishes, there will be no calling hours. Relatives and friends are invited to attend her Memorial Service on Wednesday morning at CHRIST CHURCH UNITED, 10 Arlington Street, Dracut at 11 o’clock. Committal services will be held privately. E-condolences at www.odonnellfuneralhome.com. In lieu of flowers, donations may be made in Betty’s memory to New England Hospice, 190 Old Derby St, Suite 304, Hingham, MA 02043. Arrangements by the O’DONNELL FUNERAL HOME, Lowell, MA (978 or 866) 458-8768. 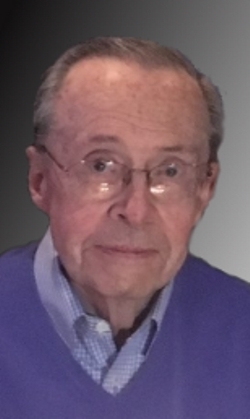 Robert F. Bailey, 90, of Lowell and for many years a resident of the Highlands section of the City, died at home surrounded by his loving family. He was the husband for 64 years of the late Barbara A. (Lyons) Bailey who died January 21, 2013. Born in Medford, Massachusetts, June 18, 1924, the son of the late Francis L. and the late Mary A. 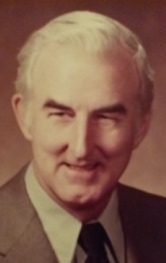 (Harrington) Bailey, he attended Immaculate Conception Grammar School in Malden and was a graduate of Malden Catholic High School with the Class of 1942. Bob went on to receive his Bachelor of Science Degree in Education from Boston College in 1950. A proud and decorated veteran of World War II, he served in the U. S. Army with the 155th Infantry Regiment as a Corporal. Bob received the Purple Heart in 1944 after being wounded in the South Pacific Theater and was also awarded the Asiatic Pacific Theater Campaign Ribbon, the Good Conduct Medal and the Victory Medal. Prior to his retirement as an elementary school teacher, Bob taught for over 35 years with the Boston School Department. A member of the VFW Walker Rogers Post 662 in Lowell and the American Legion, he also held membership in the Boston Teachers Union. Bob also was a member of the Boston College Alumni Association and the Malden Catholic HS Alumni. He is survived by his daughter Joyce A. Cote and her husband Ronald of Lowell, with whom he made his home; a grandson Christopher J. Cote of South Boston; a sister June Connors of Reading and several nieces and nephews. Bob was also the father of the late Barbara J. Bailey who died in 1991. The members of the Bailey family would like to express their sincere gratitude to Circle Home Hospice and the Visiting Angels whose personal care, compassion and concern were instrumental in providing their father, grandfather and brother with the dignity and quality of life he so richly deserved. Friends may call at the O’DONNELL FUNERAL HOME 276 PAWTUCKET ST. at Fletcher from 2 to 5 P.M. Sunday. His Funeral will take place from the Funeral Home Monday morning at 9:30 A.M. followed by his Funeral Mass at ST. MARGARET CHURCH at 10:30 A.M. Burial in St. Mary Cemetery in Tewksbury. E-condolences/directions at odonnellfuneralhome.com. Those wishing may make contributions in his memory to Wounded Warrior Project, 150 Cambridge Park Drive, Suite 202, Cambridge, MA 02140. Arrangements by Funeral Directors James F. O’Donnell, Jr. and John W. Crane (978 or 866) 458-8768. 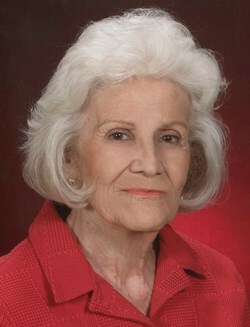 Frances M. "Fran" Mello, R.N.